Google on Thursday announced the new offline feature for it’s video community service Youtube that allows users to download videos to their Android device for later consumption when without usable network connectivity. That means you can watch youtube videos offline (Without internet connection). Google had already made the announcement about this feature 2 months ago, and now Google has finally started rolling out the offline viewing feature to users of its YouTube Android. But wait , there’s bad news for most of our readers: it’s only available on Android devices in India, Indonesia or the Philippines for now. Google, In it’s official blog , did not mention when this feature will be available worldwide but we can say that the wait is not going to be so long. Offline mode was first announced by Google India representatives at the Android One global launch event earlier this year. They had promised a year-end time frame for the feature’s introduction. How to watch Youtube videos offline ? The question is how can we watch Youtube videos offline ? without internet connection ? In countries like India and Indonesia, The internet speed is very bad if we compare to other countries so this new feature can be helpful to watch videos without buffering . 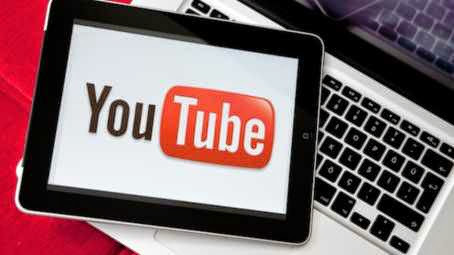 This feature allows youtube users to temporarily store videos offline to watch later during short periods no internet connectivity. For videos where this feature is available, users can choose to add the video for offline viewing by tapping on the offline icon located under the video frame. As Google mentioned in its blog , videos can be played back without an internet connection for 48 hours once taken offline. it adds that a large part of popular YouTube content in India is already available for users to view offline, including video content from labels like T-Series, Saregama and Yashraj Films. Content owners can choose if they want to opt to allow offline viewing for their media. This entry was posted in Android and tagged Internet, media.